Yes, we offer solar panel security fasteners that are a far superior choice than solar panel alarms. As one of the leading names in the solar panel cleaning system industry, we are always working to drive home the importance of security to both our residential and commercial customers. 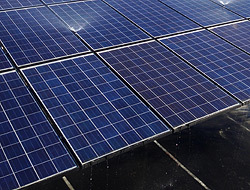 Heliotex cleaning systems are compatible with solar panels from the industry’s leading names, including Mistubishi, SunPower, Sharp and more. Learn more about both our systems and our security fasteners by calling Heliotex today. When it comes to solar panel security, no one gives you more options than the experienced professionals at Heliotex. The value of solar panels and the ease with which they can be removed make them a target of would-be thieves who see them, and rightfully so, as a nice chunk of potential revenue for a short amount of work. Our security fasteners stop thieves in their tracks in a way alarm systems never could. While you may not be an expert on how to secure your solar panels, at Heliotex™ it is our job to show you the most effective options. We will show you firsthand why security fasteners are far more effective than alarms. And of course we offer the very finest options as it pertains to solar panel cleaning systems that promise to keep your solar panels running at maximum output. The money you spent on a solar panel system was spent with the idea that your solar panels would last you for years to come. Heliotex™ can help you in this regard, and you will be amazed at how easy and affordable it is to secure your panels through the use of security fasteners. 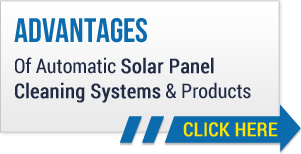 Don’t wait another day to make certain your panels enjoy the ultimate in safety precautions.